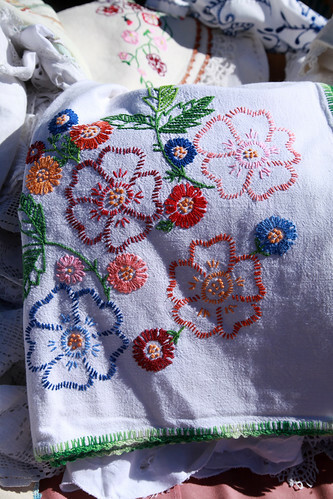 Bárbara begun "blogging" last Summer and soon she decided to devote her embroidering days to learn Guimarães Embroidery. 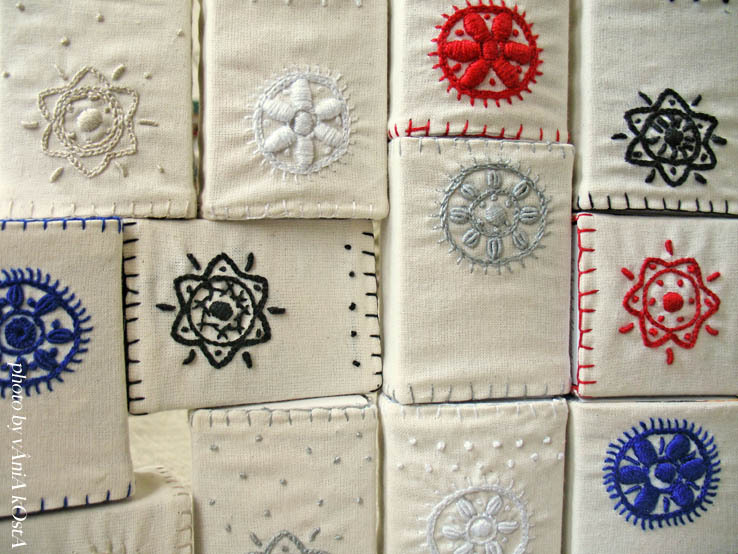 As in old times she thought of making a sampler. 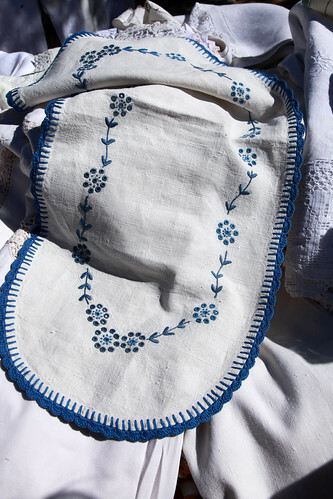 Her blog, ponto cereja (cherry stitch), written in Portuguese, is like a diary on that journey of learning the stitches of Guimarães Embroidery where you'll find many photos of the stitches and illustrated step by step instructions. Now we can say she is an expert and her new works show it, like her brooch or keyring. Guimarães Embroidery, by Bárbara, blogged. 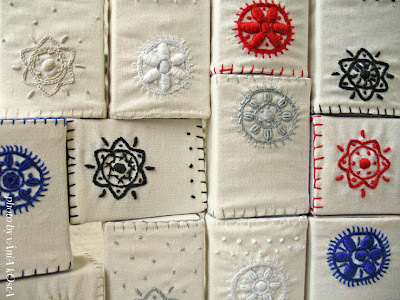 Embroidered little boxes by Vânia, blogged. This amazing neckwarmer is also a great example of how joint efforts can have unpredictable results. The mold of Alice's charming neckwarmers and the stitching of "the girls" (also mother and daughter) from ponto margarida (daisy stitch) created something unique. 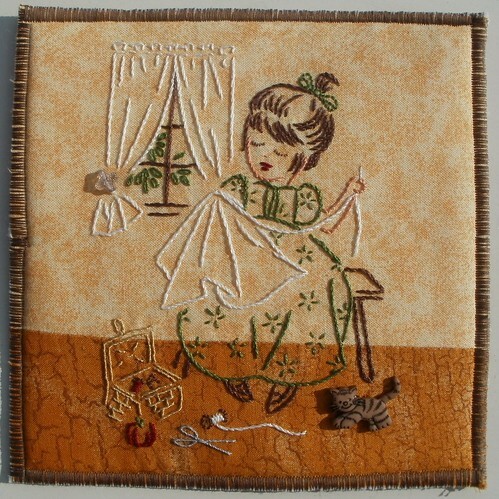 As always, Alice could not resist to follow all the production process of this piece, beginning in the linen fields. As she usually says" the process is an end in itself" and I believe this was the inspiration for an incredible project (really worth reading - some are translated into English) named "Saber Fazer", where she describes and beautifully illustrates artisanal and semi-industrial production techniques in Portugal. 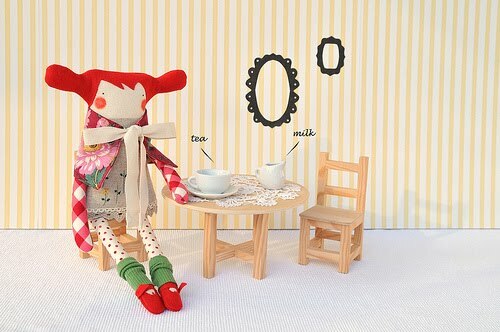 You can get to know Alice better in her blog, noussnouss. Embroidered neckwormer by Alice e Ponto Matgarida, blogged. Each week I'll be more and more proud to show you all these inspired stitches with Portuguese soul! Feeling happy!!! Hey there all you wonderful stitchy people! Are you up for a fun challenge? 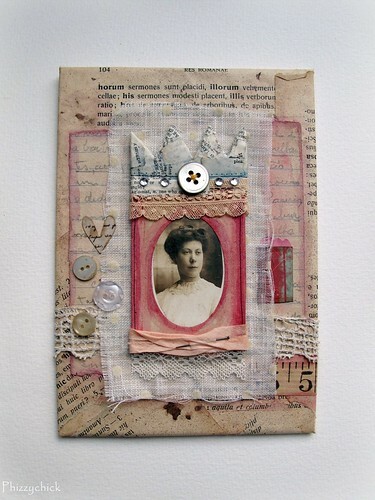 Over at Craftster we are doing an altered image needlework challenge. Check it out! If you are not a member of Craftster, go and sign up right now. It's super easy and ten tons of fun! Special thanks to Phizzychick for making such awesome art! YOU MUST BE A MEMBER OF CRAFTSTER.ORG! Stitch up an altered photo. You can use any type of material and any type of stitch (embroidery, cross, felt...) and post your entry with picture DURING THE PROPER TIME! The image can be old, new, but it must be a photo. 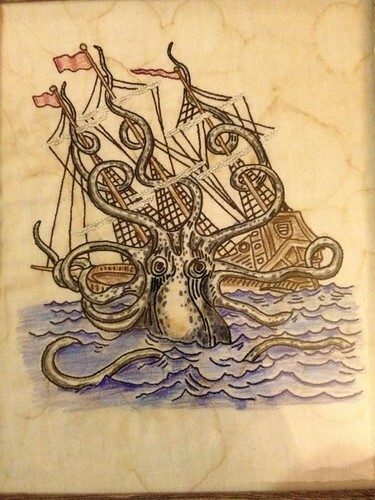 It needs to be a project you haven't posted on Craftster before. On March 1-7, to post your entry, simply start a new topic on this challenge board (the needlework challenge board). Post a picture and a little bit about the piece. DO NOT POST YOUR CHALLENGE HERE! Easy, peasy! * The picture has to be incorporated somehow into the stitching. 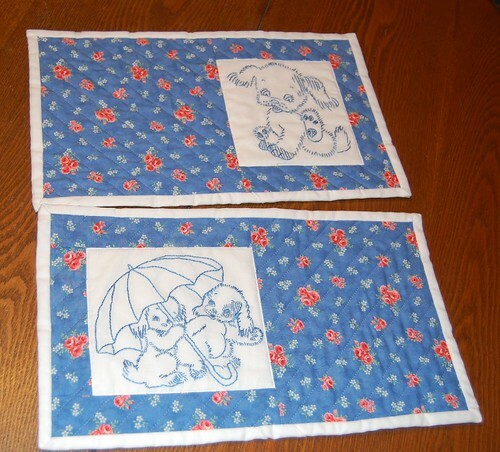 You can stitch on the picture or sew the picture into fabric. You don't necessarily have to actually sew onto the photo unless you want to but it you also can't just create around a picture. The picture has to have some sort of stitch involved in it. The picture has to be altered some way. There will be prizes and you will be featured on Craftster and on Feeling Stitchy. I've said this before, but oftentimes, looking at a project right before you begin, laying out your colors, and being in touch with your inspiration is every bit as exciting as finishing a piece. I am in love with the bright, gorgeous colors Jeni has chosen for this project - read more about her project on her lovely blog, In Color Order. Beautiful work, Jeni! 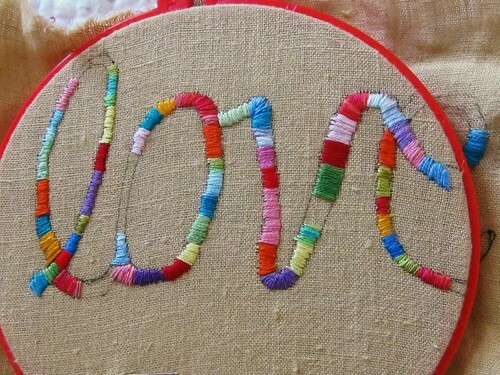 I'm loving this colorful progress shot in Constanza's Flickr stream - the delicious rainbow colors she's used to handstich little bits of letters are just gorgeous - beautiful work! Hi, everyone, and sorry for being a day late with my last-Saturday-of-the-month-post as as I've been a bit busy doing some behind the scenes stuff with our group's contest. Although I love (and I hope you do too!) the new interview format, this month I'll just doing a round-up of some great photos that were added to our pool recently. 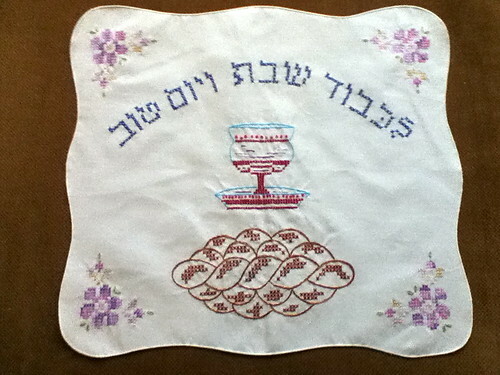 If you like them, be sure to click over to flickr and leave the stitcher a comment! I'll be back on Saturday, February 23 with an awesome interview and a recap of the contest. And about that contest...... it's not too late to enter..... All the info is here! Happy Tuesday, everyone! It seems Valentine's Day is everywhere I turn. 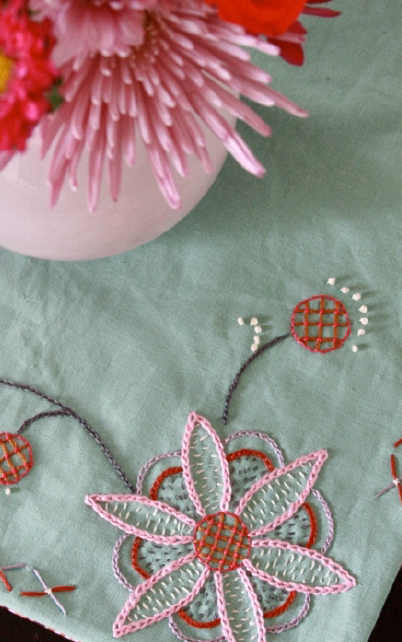 In order to join in on the Valentine's Day prep, I searched for some vintage embroidery patterns perfect for the day o' love and found some fantastic ones at French-Knots. Once I had decided on which pattern to stitch, I thought it would be cute for a Valentine's Day coffee/tea cup cozy. I used the lazy daisy pattern of the heart with an arrow through it, which is available here. I scaled the pattern down to 35% and printed it to fit the center front of the cozy. 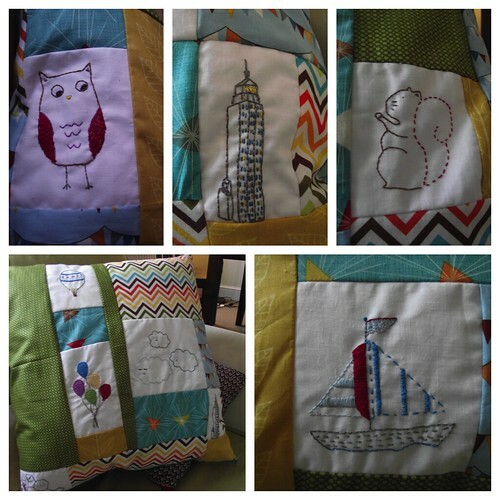 Step One: Transfer and stitch your pattern onto your fabric of choice. I scaled down my pattern of choice to 35%, before printing and transferring it to the fabric. Step Two: Once your stitching is complete, take the template and place it over your stitches, making sure the stitching is centered. Using the template, cut one of each of the front, back, and batting. Step Three: Layer the pieces so they can be sewn together starting with the batting, then fabric back right side up, and fabric front with right side down. Take the elastic and form a loop. Place the loop side between the front and back pieces on one of the shorter sides. Pin the three pieces together. Stitch around the edges with a 1/4-inch seam. Make sure to leave a 2-inch space open so you can turn the cozy. Step Four: Clip the corners, turn the cozy, and press. Step Five: Stitch around the edge of the cozy to finish off the edges and close the space used to turn it right side out. Step Six: Place the button on the short edge of the cozy, opposite the side with the elastic, and stitch in place. Step Seven: Wrap the cozy around your next coffee or tea cup, and you have instant Valentine's Day flavor. Hope you enjoy and give this tutorial a try! Have a great day! One of my new favourite embroidery books is Aneela Hoey's Little Stitches. It contains over 100 embroidery designs and twelve projects where the embroidery patterns are interchangeable, which is a fantastic idea. 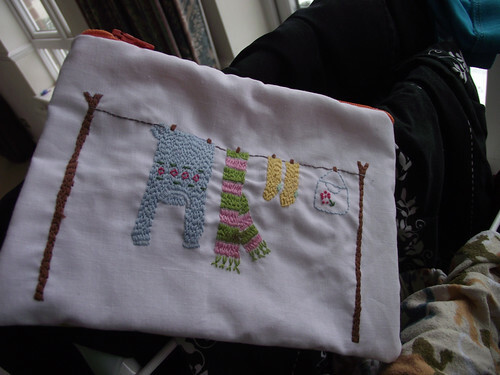 You can stitch the patterns quite simply if you want to but at the same time there is full instructions on how to be a little more adventurous with your stitching, for example the embroidery overlaying the fill stitching on the jumper on the washing day zip pouch. The beauty of this book though is that the embroidery patterns really could go on anything, each design is quite small, so doesn't take too long to stitch up (particularly if you skip the fill stitching), so the designs could go on any number of things to cheer them up. 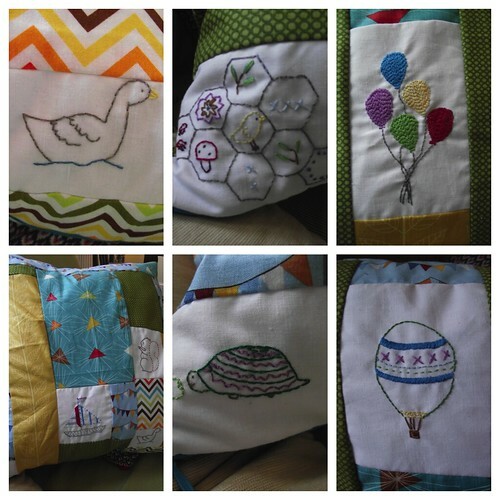 I was so keen to stitch as many of these fun designs as possible, I ended up making a cushion with the designs I had chosen (project not in the book but is pretty easy to do). And on one final note, the book not only includes the patterns on the page (so that you can photocopy them and transfer the pattern using a lightbox, window, etc.) 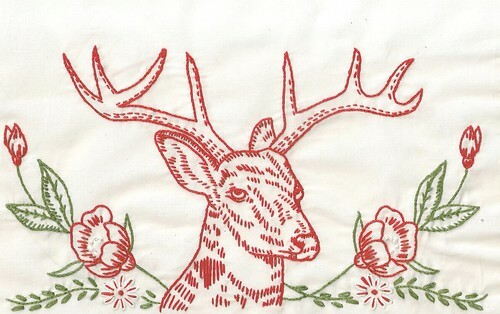 but it also includes iron on transfers, more embroidery books should do that! Olá! This week I have some more modern stitches with Portuguese soul to show you... All of them talk a little bit about our country - our Portugal. 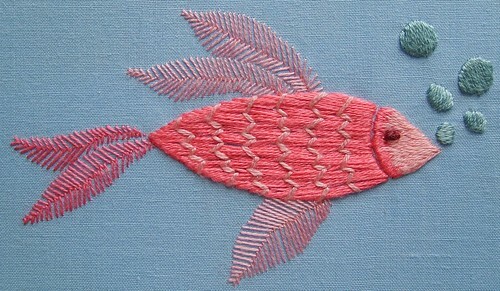 The sea, the tiles and the fabrics inspired these stitches as it often happens in Portuguese art. 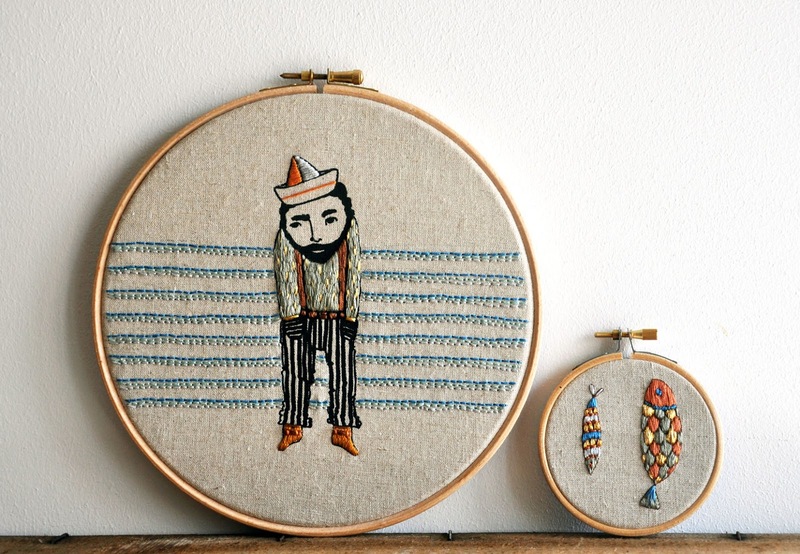 Ana, from fric de mentol, describes her stitching work as a "mixed media embroidery artwork" once her pieces are hand screenprinted and hand embroidered with cotton thread. I could have chosen her enigmatic trees, the charming mandolin player or the irreverence of Madame Potato. But the first time I saw the "solitaire" it remembered me of Portuguese fishermen. And I questioned myself how this figure can tell us so much about Portuguese soul... The sea, the nostalgia, the saudade... So romantic, too. Threads are used like ink - no doubt they paint our soul... And they make us have round dreams... Don't forget to pass by Ana's blog, drops de mentol. Sofia is her real name but in the blogosphere she is Tayari, a borboleta serrana (the mountain butterfly). 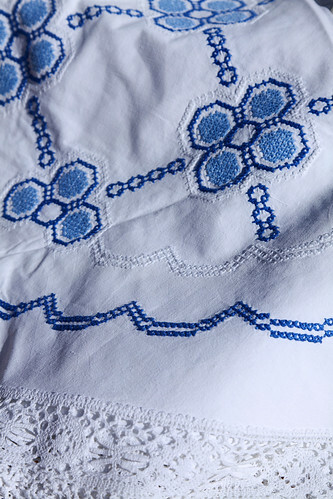 Her love for Serra de Sintra justifies both this name and the blog that she writes "between the mountain and the sea", ponto sem nó (stitch without knot). 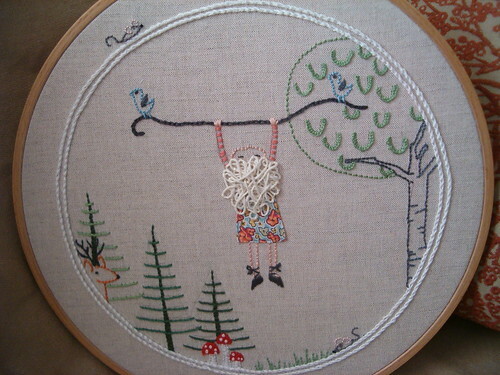 She is a passionate embroiderer. Do you imagine how many hours has she spent cross-stitching? She loves teaching and sharing her incredible knowledge. 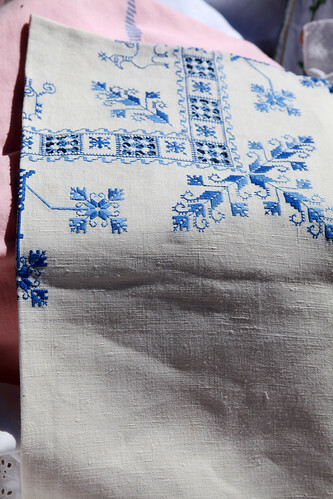 And I love how she mixes tradition and modern patterns. Cross stitch "ceramic tile" pattern, by Sofia. The details of Maria's work are irresistible. 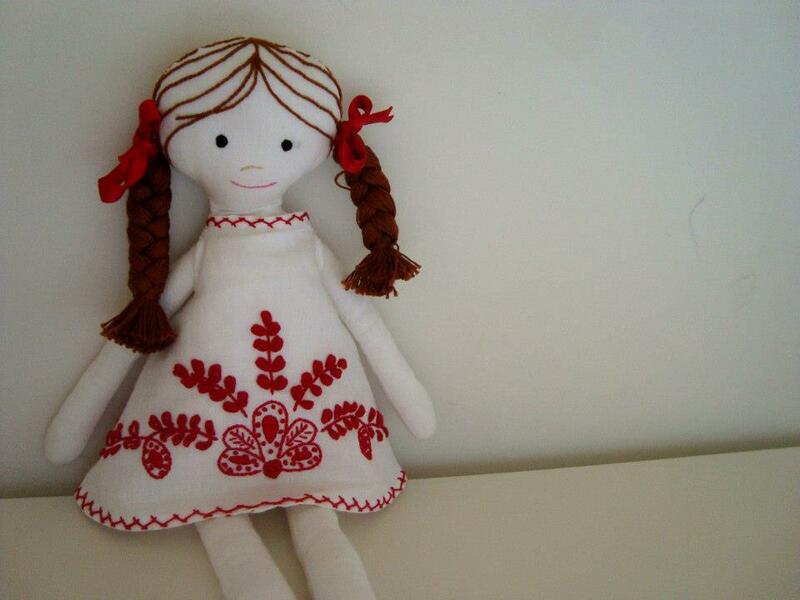 Her dolls , Violetas, are so sweet that for some moments we believe they belong to a dream. Some of them are beautifuly decorated with embroidery and I've chosen one of those to show you. This is a very special one because she's wearing a Portuguese traditional fabric, too - chita de Alcobaça. But it was difficult to choose once the dress of theVioleta nº 42 is also very beautiful. And what to say about her bird's bag... 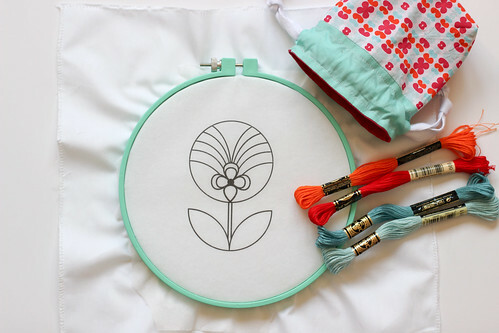 If you like appliqué embroidery browse Maria's bags set and don't forget to visit her blog, kase-faz. 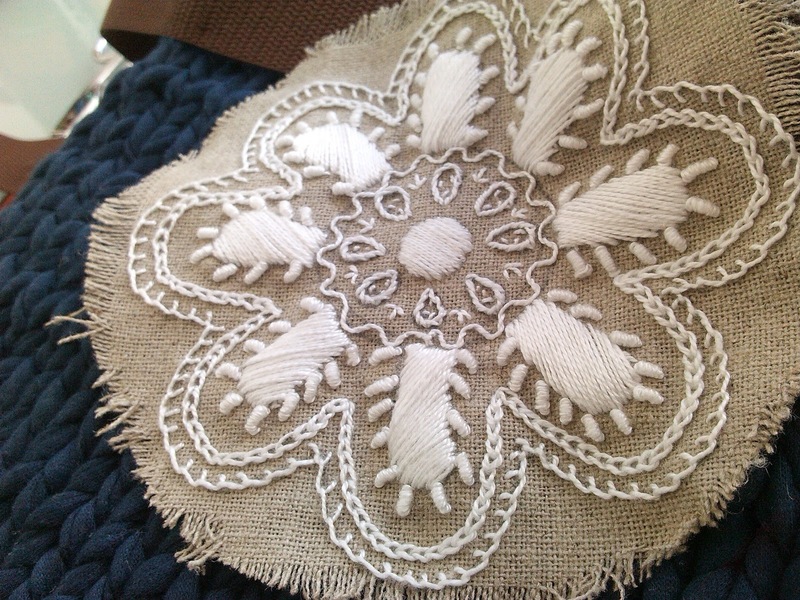 Beautiful stitches from Violeta's dress. 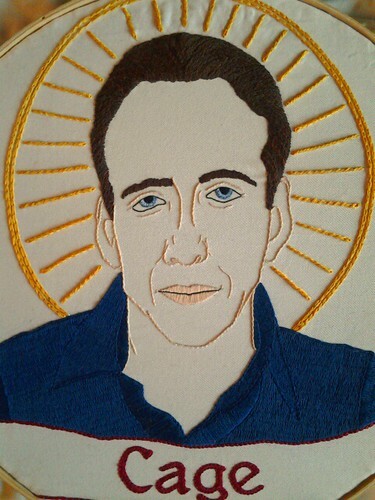 I will forgive Nicholas Cage for every movie he made after Valley Girl simply because I loved him in that movie. Thank you children playing with fire for rekindling my love of 80's Nick Cage. 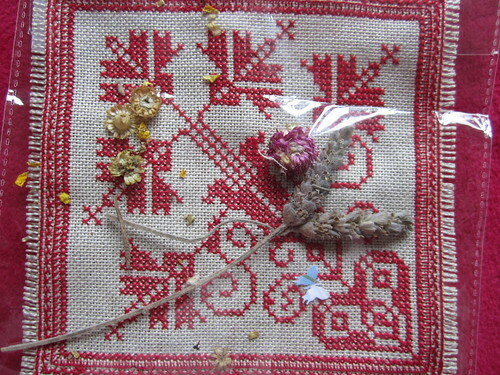 Aresn't these lovely supplies as photographed by by Gold Willow just gorgeous? 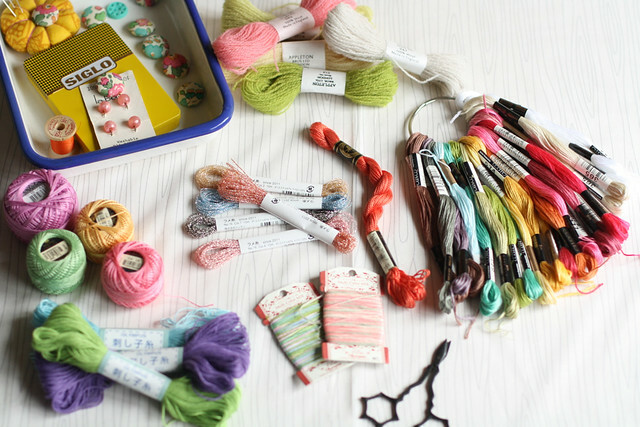 Makes me want to start stitching right away! 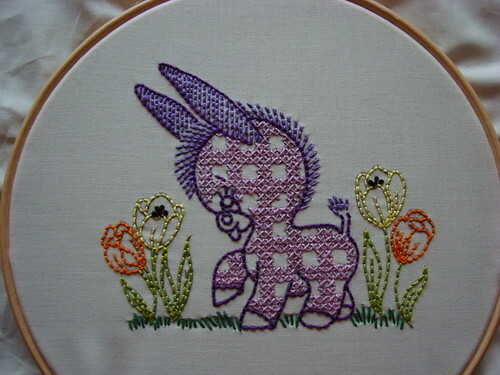 Ooh a new pattern from Nicole from Follow the White Bunny! Called My Favourite Blanket, the pattern not only features a Union Jack bed cover but also American Flag and 'folksy' versions. Very cosy! Happy Tuesday, everyone and Happy New Year! I have a tutorial roundup to share with you today. 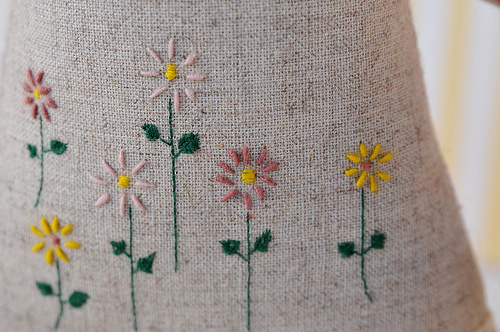 Each tutorial has some great instructions for how to create a fun and functional item using embroidery. If you want to add a little color to your table now that the holiday decorations are packed away, Anna Maria Horner has an excellent tutorial for a table scarf. This is a pdf file, so make sure you have Adobe reader in order to access it. 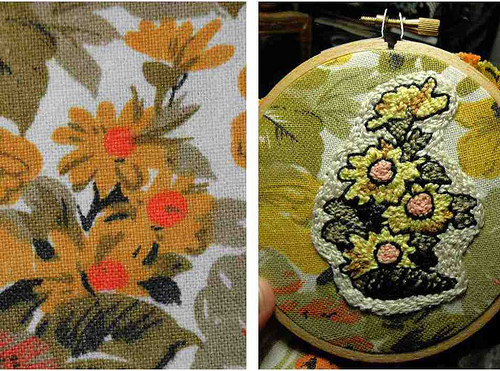 Kylie Hunt provided the Flower Press blog with an excellent tutorial for creating a floral brooch using vintage fabric as her pattern. Access the tutorial here. 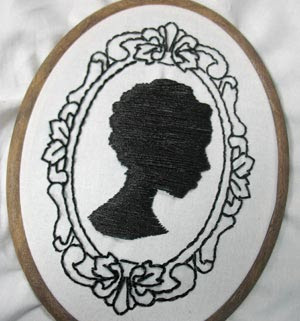 Urban Threads has a great tutorial for creating silhouettes using a satin stitch. Check out their tutorial here. 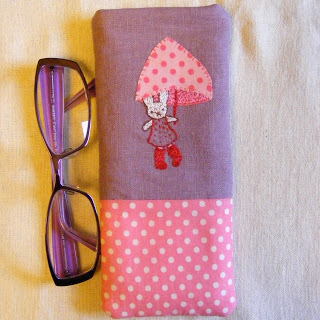 Lilipopo has a darling embroidered glasses case tutorial over at her blog. 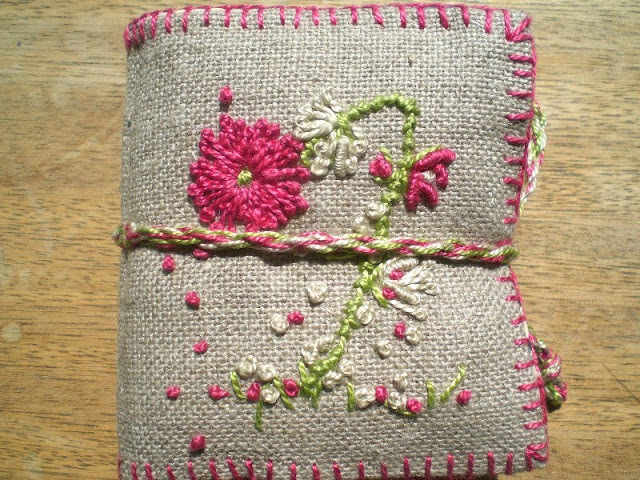 It's a super cute case and quick to make. Hope you get to try some of these out. Hope you have a happy Tuesday! Awww I love it when I see Cross Stitcher patterns in the Embroidery pool! 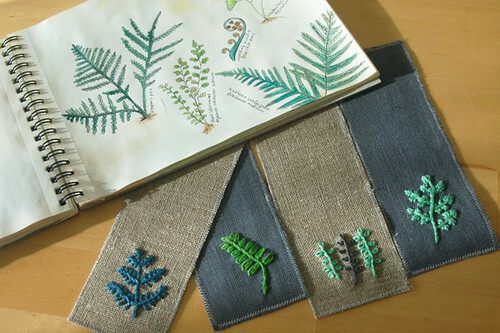 These are so cute and definitely have to go on my to stitch list! 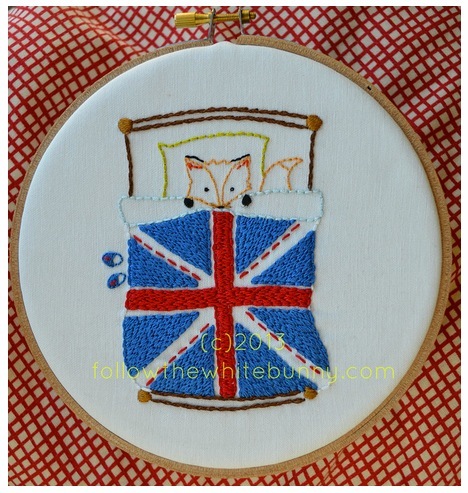 Great use of different coloured fabrics to stitch on to by All The Live Long Day.